We are seeking a full-time Assistant Buyer to join our growing team . The Assistant Buyer will be joining a fast-growing early stage business where the primary focus is driving down prices and maximising savings for NHS Trusts across the country. Peto Ltd helps the NHS save money in purchasing of medical supplies and commodity items. We have developed a service process, supported by our platform, which delivers cost saving opportunities across the board. By applying our approach to many such items which aggregate to millions of pounds in value, we can deliver hundreds of thousands of pounds of savings to the NHS every year. Based in Cowes you will work with a team of buyers, NHS Trust staff and external suppliers. You will support the daily flow of purchasing including: selecting purchasing requisitions; obtaining price quotations and creating purchase orders, reporting and other purchasing support. You will use multiple software packages including: Oracle, Excel and Peto’s own cloud-based bespoke software. The ideal candidate will come from a procurement administration background. Those with customer service/telemarketing will be considered. Happy Birthday NHS! As our infamous National Health Service turns 70 today, we take this opportunity to celebrate it’s achievements and to thank the extraordinary 1.4 million NHS staff members, who make it all possible. Over the last 70 years, the NHS has transformed the health and wellbeing of the nation and become the envy of the world. We will look at the radical thinking that led to the creation of the NHS, how it’s evolved to meet our changing needs and the innovations we can look forward to over the next 70 years. Health Secretary, Aneurin Bevan, launched the NHS at Park Hospital in Manchester (now known as Trafford General Hospital) on 5th July 1948. This began with a hugely ambitious plan to bring good healthcare to all. The health service would be available to all and financed entirely from taxation, which means that people pay into it according to their means. Learn more about the history of the NHS here. The National Health Service has delivered huge medical advances and improvements to public health, meaning we can all expect to live longer lives. It is thanks to the NHS that we have all but eradicated diseases such as polio and diphtheria, and pioneered new treatments like the world’s first liver, heart and lung transplant. Looking to the future, the NHS is becoming more integrated and investing in new medicines, genetic research and digital technologies like apps and artificial intelligence, which will ensure we continue to live longer and healthier lives. Without the skill, dedication and compassion of NHS staff, as well as the many volunteers, charities and communities that support the service, the NHS would not exist. We want to say a massive THANK YOU to each and every member of staff that make the National Health Service possible. The NHS is the UK’s largest employer and world’s 5th largest employer, with over 1.4 million staff from all over the world and more than 350 different careers, and we are grateful to each and every one. From the midwives who deliver us into the world, the GPs and pharmacists who advise and treat us, the nurses and doctors who come to our aid when the unexpected happens, the support staff that make appointments happen, the researchers at the forefront of innovation, and the list goes on. Several NHS staff members share their proudest moments at work in the video below. Peto is a provider of cloud based software as a service (SaaS) combining technology with market mechanisms to generate and sustain procurement savings on low to medium value recurring purchasing. Our focus is on the public sector and in particular the NHS. Drawing on a number of years experience with the largest NHS in the United Kingdom Peto has developed a platform which, working alongside inhouse teams, can deliver and sustain lower prices in a cost efficient fashion. Get in touch to find out how we can save your NHS organisation money, by calling 0117 313 1282 or send us an email to info@peto.co.uk. St Mary’s hospital on the Isle of Wight is considering whether to discontinue certain medical treatments on the Island, meaning that 11% of patients will have to travel to the mainland to receive treatment. 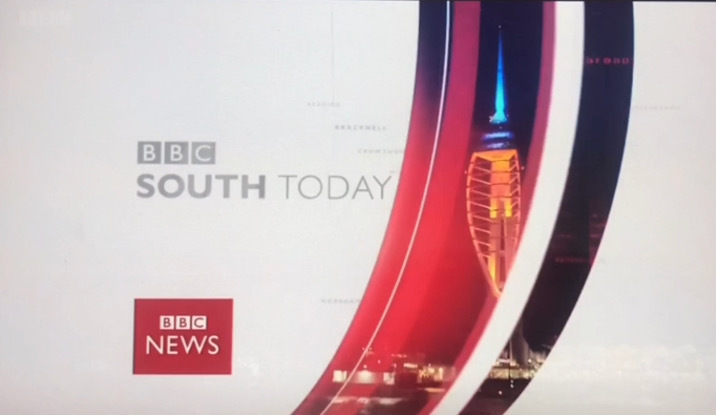 Managing Director of Peto, Iain Mackinnon, offers his opinion as to why a solution that will facilitate the 24/7 transportation needs of patients between the Isle of Wight and South Coast hospitals is crucial. “It would be wonderful if there was a first rate, fully stocked district hospital here on the Island, but that’s not really going to be practical given the population and the limit of resources”. Stress is a natural reaction to many situations in life, such as work, family, relationships and money problems. A moderate amount of stress can help us perform better in challenging situations, but too much or prolonged stress can lead to physical problems. Learn more about what stress is, what the signs of stress are and steps to prevent stress on the mentalhealth.org website. People are speaking out more and more about Mental Health, but there is still a stigma attached to it, that we need to remove! Over the past few years, celebrities have started coming forward about mental health issues of all varieties, from Adele and Beyoncé to Dwayne Johnson and even Prince Harry. It just goes to show that no matter how perfect your life may look from the outside, there is often a lot going on inside, which is far from perfect. Read more about celebrities that have opened up about mental health issues here. The NHS is investing more money into mental health year on year, with overall mental health funding up £1.4 billion in real terms compared to 3 years ago and 120,000 more people getting specialist mental health treatment this year than 3 years ago. These figures show just how much support there is out there for mental health, so we really must utilise this. Let’s be aware of mental health issues, support each other and speak out! For more information and support with mental health issues, visit the NHS website. 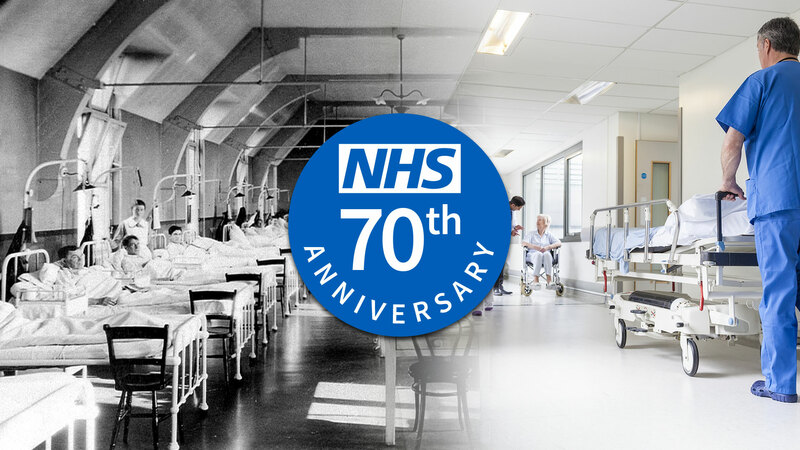 In an article by Digital Health, it was recently revealed that the government has announced it is releasing £760 million into the NHS, which includes money to improve the use of its digital programme as part of the national health body’s 70th birthday. The Department of Health and Social Care announced that the £760 million investment is to modernise and transform NHS hospitals and community services over the next 10 years. Part of the funding includes £150 million set aside to support the NHS’s work to become more efficient. This will help to “improve the use of a digital programme that helps the NHS use its workforce better” and “improve pharmacy IT and administration systems to reduce medication errors and improve patient safety”. In another article by Digital Health recently, it was also reported that the parliamentary under secretary for the Department of Health and Social Care stated that the UK could be a “world leader in AI research” and “unlock a wake of innovation throughout the NHS” by harnessing patient data sets. Speaking at the Spectator Health Summit on Monday 26thMarch, Lord James O’Shaughnessy suggested that citizen data held by the NHS was “an asset that no other country can bring together”, further claiming that it was the key to transforming Britain’s healthcare industry and making it “the global centre for life sciences trials, genomics and personalised medicine”. However, O’Shaughnessy said the public first needed to be convinced about the benefits of data collection and assured that their information would be used safely and responsibly. It appears that there is a lot going on behind the scenes in the NHS at the moment, much of which we believe relates to technology and innovation, to preserve a stronger, smarter and more efficient NHS for future generations. As the NHS prepares for it’s 70thbirthday, it is clear that the health service has come a long way since it’s launch in 1948 and it will only get stronger in years to come. We look forward to seeing the developments! Keep up to date with the NHS digital developments at digital.nhs.uk. In the recent Conservative Party Spring Forum, Theresa May was quoted praising our National Health Service, saying “I rely on the NHS every day and I am eternally grateful to them”. Theresa May described how she relies on the NHS every day because of her diabetes as she defended her record on public services. The Prime Minister admitted that some people question the Conservative Party’s “motives” on health and schools but insisted that the conservative party cares deeply about our health service. You can read more on this story at https://www.telegraph.co.uk/news/2018/03/17/watch-live-theresa-may-addresses-conservative-party-spring-forum/. This quote by the Prime Minister reminded us just how lucky we are to have our NHS service. We hear far too many stories about NHS cuts, deficits and waiting lists, but very little about how incredible the service really is. In this blog post, we review just a few of the reasons why we love our health service. The 2014 Commonwealth Fund report revealed that the NHS was better value for money than the healthcare systems of the US, France, Germany, Sweden, Canada, The Netherlands, Australia, Switzerland and Norway. Of the 11 countries in the analysis, only New Zealand spent less per head on healthcare, but it ranked 7th on the overall rankings for healthcare, a long way behind the NHS. Of the 11 countries, the NHS ranked first overall on quality, access and efficiency and was first on many individual measures, this is despite spending on healthcare in the UK being the second-lowest amount per head. Learn more at https://nhsfunding.info/cure/can-we-afford-the-nhs/. Our NHS staff go the extra mile to provide exceptional care for patients, from all walks of life, with a variety of injuries and illnesses. Read some of the many success stories here, here and here. We are so grateful for the vital work that our NHS workers undertake 24 hours a day, 7 days a week. The NHS has always managed to incorporate new technologies into its service, making them available to the whole population. Organ transplants began in 1960, computer tomography in 1972 and keyhole surgery and magnetic resonance imaging in 1980. Since 1948, the NHS has prescribed innovative medicines soon after their launch for hundreds of medical conditions, including heart disease, cancer and diabetes. The NHS is dedicated to informing and educating the public, to avoid future health issues. Recent examples are the stroke act F.A.S.T campaign, Change 4 Life, prompts about the flu jab, and the introduction of screening for cervical, breast and bowel cancer. By educating the general public on current health issues, it helps to prevent illnesses and save lives. Without a doubt, the NHS is one of the fairest healthcare systems in the world. Our healthcare service is funded by sharing the costs via taxation allowing high quality healthcare to be provided to everyone, regardless of their age, finances or personal circumstances. Here at Peto, we feel incredibly lucky to have access to such an incredible health service and would like to thank the NHS staff who make it all possible. Next time you hear a negative story about the NHS, we ask you to take a minute to think about the many positive outcomes of the service. In such a large organisation, there are bound to be problems, but we strongly believe that the positives far outweigh the negatives. In an article by Digital Health released last week, it was announced by NHS England’s CIO, Will Smart, that he feels the NHS Digital Academy will be a “really important mechanism” for improving cyber security within the NHS. What is the NHS Digital Academy? The NHS Digital Academy is a virtual organisation set up to develop a new generation of digital leaders who can drive the information and technology transformation of the NHS. The Academy will provide a year long world class digital health training course to Chief Clinical Information Officers, Chief Information Officers and aspiring digital leaders from clinical, and non clinical, backgrounds. Find out more about the NHS Digital Academy here. Will Smart was summoned to speak at NHS England’s board meeting on 8 February to discuss his review of the WannaCry cyber-attack, which took place in May 2017. After this attack had taken place, the NHS was scrutinised by a government report for not following cyber-security recommendations. WannaCry spread to more than 150 countries in a worldwide ransomware attack and caused over 6,900 NHS appointments to be cancelled, making it the biggest cyber-attack to hit the NHS to date. As a result of this attack, the NHS Digital Academy was created in an attempt to prevent future attacks. Learn more about the WannaCry attacks here. Smart’s report, which was released last week, lists 22 recommendations for the future, including the appointment of a chief information and security officer (CISO) and a dedicated cyber security lead across the entire English NHS. The academy, which opened its doors for applications in November, aims to train 300 NHS digital leaders over the next three years. “The Digital Academy is a really important mechanism and can take cybersecurity that one step further,” Smart added.